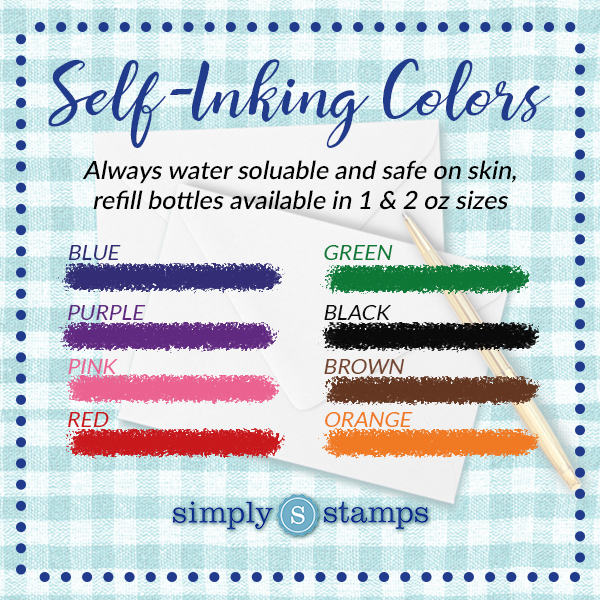 Girls love hearts on everything, so while they are away at camp or grandma's house for the summer, encourage them to write letters home using this customized Lots of Hearts Address Stamp with their name on it. They will have fun stamping their letters before mailing them out. The Lots of Hearts Address Stamp is a stamp that stands out above the rest, with not only a unique, circular design but a series of miniature hearts surrounding the name of the person on the stamp. 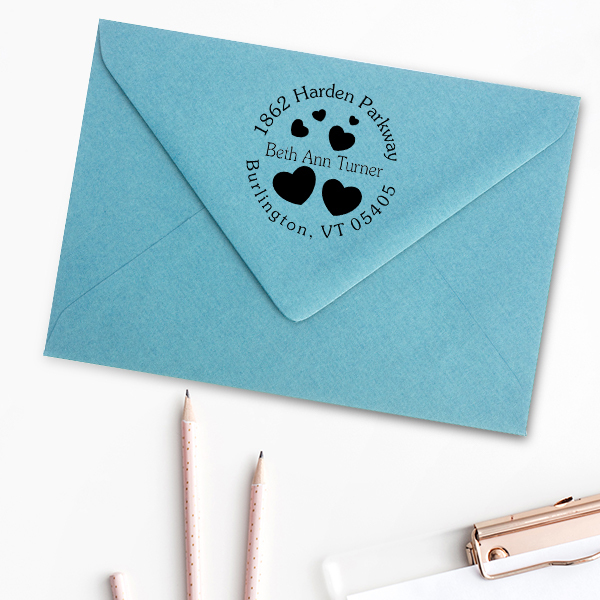 The address circles these hearts, providing a clever look to a conventional idea and type of stamp. 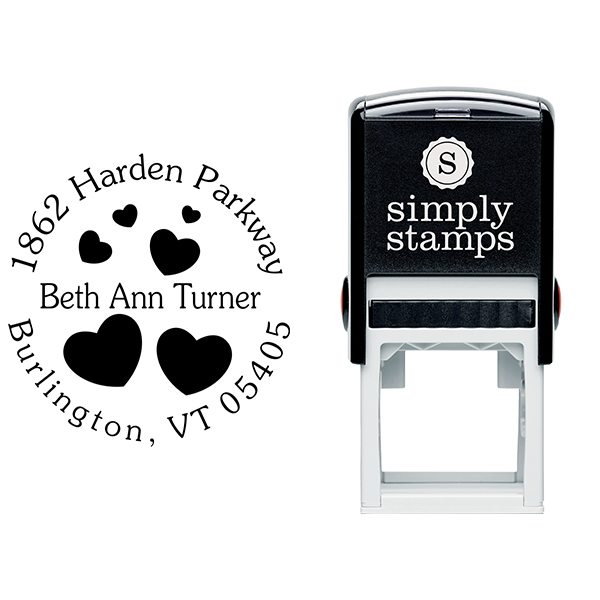 The Lots of Hearts Address Stamp is the perfect stamp for anyone that needs to express love in some way, shape, or form, whether you’re a parent sending your child letters during his/her first days away from home, or whether you’re simply writing a letter to your loved one who you haven’t seen in a while. Whatever the cause may be, the Lots of Hearts Address Stamp is the perfect way for you to show your affection; the recipient will see the hearts on the envelope and feel the love, immediately! 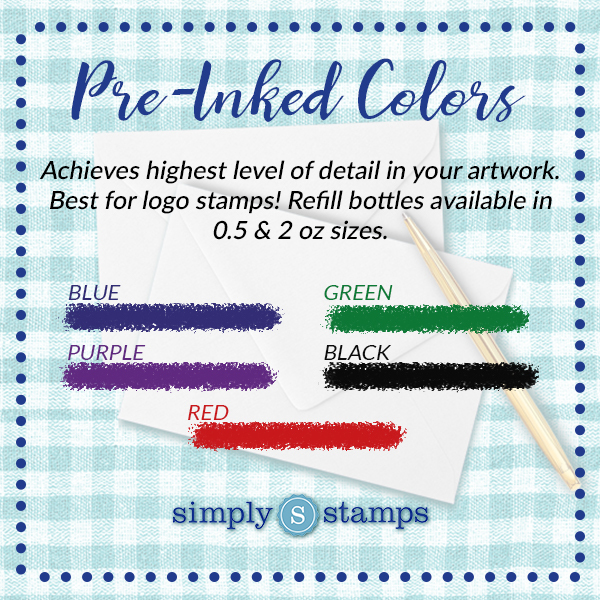 The Lots of Hearts Address Stamp is also pretty customizable as well, featuring a couple size options, a choice of eight different ink colors, personal information customization, and the option to choose between a self-inking or traditional stamp-style. If you have someone who you frequently send heartfelt mail to, be sure to order the Lots of Hearts Address Stamp, and make sure your affection is felt!